In total contrast to last month’s Living To Music selection, ‘Sgt. Pepper’s Lonely Hearts Club Band’ by the most successful recording artists of all, The Beatles, Shuggie Otis could be described as the one that got away – an incredibly gifted musician / songwriter who, rather than receiving the acclaim his music clearly merited, was destined for relative obscurity. 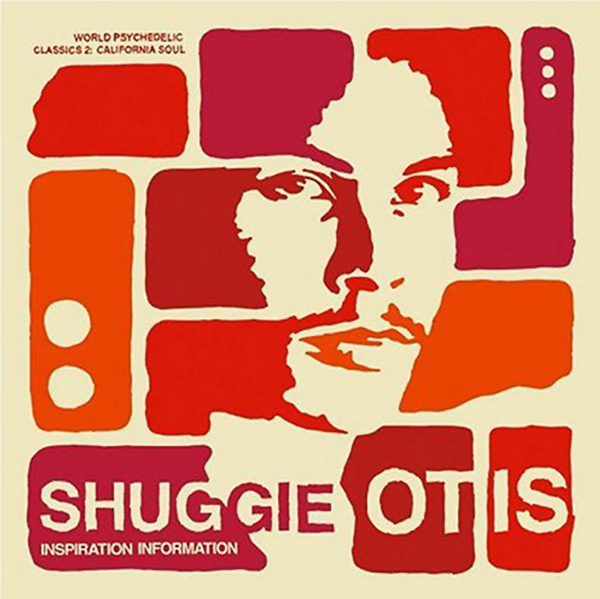 His father was Johnny Otis, the son of Greek immigrants, who grew up in the African-American community of Berkeley, California, and, after forming his own Swing band in the late ’40s, become a pioneer of the emerging Rhythm & Blues sound, which would, of course, set the wheels in motion for the oncoming Rock & Roll era. He would help steer a whole host of artists to R&B stardom, including Etta James, Jackie Wilson, Esther Phillips and Big Mama Thornton, as well as writing and recording his own material, most famously ‘Willie And The Hand Jive’ in 1958. 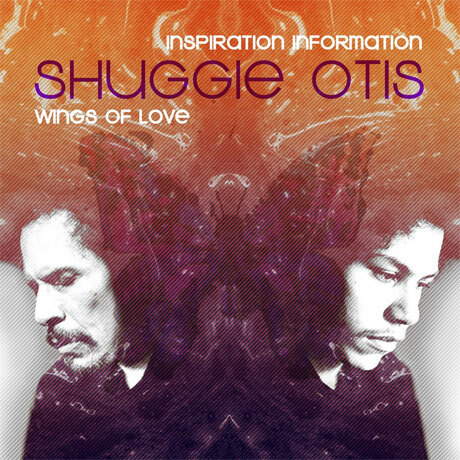 Signed to Epic Records in 1969, when he was just 16, Otis would record 3 albums for the label – ‘Here Comes Shuggie Otis’ (1969), ‘Freedom Flight’ (1971) and ‘Inspiration Information’ (1974). With the final album taking 3 years to complete, and crossover success still elusive (the title track being his only showing on the R&B chart, peaking at an underwhelming #56), Epic lost patience. Otis had gained a reputation for being difficult, and was described as living in ‘a haze of drugs and paranoia’, hence the album taking so long to record. Without sufficient record sales to paper over the cracks he was cut adrift, and given the ill repute now connected to his name, no other companies were prepared to offer him a second chance. At the age of just 21 he was, in effect, washed out. An offer to join the Rolling Stones on tour as guitarist was declined, and his only subsequent credits during the coming years were for guitar sessions on his father’s recordings. His work finally received a measure of acknowledgement in 1977 when The Brothers Johnson reached the top 5 of the US chart with their Quincy Jones produced cover of ‘Strawberry Letter 23’, a track that originally appeared on Otis’s ‘Freedom Flight’ LP. However, that was as good as it got as obscurity beckoned for this one time prodigy with the world at his feet. I wasn’t really sure what to expect listening to this and as the album went on I realised these weren’t standard linear tracks, quite a spaced out feel to them! So many different styles, tempo’s and keys switched mid track. This heightened the listening experience never quite sure when it would head off somewhere completely different. At times it reminded me of the spontaneity and intratrack variation of James Brown live at the apollo, this time with a much wider repertoire of styles and sounds. There were loads of parallels popping up with the likes of The Doors, Fleetwood Mac, Jimmy Hendrix, Pink Floyd, DJ Shadow. Some fantastic Jazz instrumentals and it feels quite experimental at times. Amazing guitar sections, funk, classic, country and western, rhythm and blues; some superb scaling, arpeggio, staccato, syncopation. From the off some lovely dreamy sounds and then vocal which reminded me of Christopher Cross. Really nice funky feel and vocal harmonies. The drum machine percussion on Island Letter really struck me, Timmy Thomas ‘Why Can’t We Live Together’. Love the full bass sound too. Sparkle city felt like a slow tempo Nile Rodgers riff, some weird white noise distorted quality to the percussion tops. Aht Uh Mi Hed! A lovely combination of keyboards, strings, bass, percussion, flute; feels much more recent than 1974…..
Ice Cold daydream- Purple Haze meets hyper Stevie Wonder! Freedom Flight sounds gorgeous and I found it really visual too, it had me from the deserts to the poles, reindeer, running streams, rolling waves, up in the mountains. Crackin album, really enjoyed hearing some new sounds; cheers Greg! I’ve listened to the re-issued album a few times since Sunday. I love half the tracks! but I’m not fussed about the rest. There’s been a lot of talk lately about the so called ‘golden age’ of the album. This L2M experience again made me realise why I’m no longer actively listening to albums at home or on my iPod. Listening preferences are totally down to the individual (as with formats / DJing preferences etc). For instance I’ve only properly listened to all the selected L2M albums in the car, where my attention seems best applied to listening to the album format. It’s also a case of convenience… simply sifting through the CD folder and chucking an album on for any longish journey. If I find ‘Inspiration Information’ on second hand vinyl then I’ll probably buy it. Although these days vinyl tends to find me more (I picked up a mint copy of Graceland for 50p in a charity shop only last week! ), so I no longer go out of my way to specifically buy vinyl. In this L2M instance I copied a mates CD and ripped all the tracks to WAV for my digital library. Then listened to the CD album a few times. I then unceremoniously deleted the 6 tracks that I wasn’t feeling. Meaning that I’ve kept only 2 of the tracks from the original 1974 album, as well as the 4 bonus tracks from the 2001 re-issue. Greg, it’s like what you’ve said in your recent YouTube interview… where similarly, my digital library is now so vast that it needs to be continuously refined, I have too much music still to listen to and never enough time! So many album tracks are simply discarded. It’s no wonder that people are saying that the album format is no longer as poignant. Music is more disposable today, as are artists. Great albums both new and old are few and far between, but that’s just my opinion. Back to this album… I’d heard ‘Strawberry Letter 23’ many times before, but none of the other tracks. I adore ‘Freedom Fight’ which is very warm and atmospheric, I like the title track too. In hindsight I did think that this album would be better than I found it to be. Yet despite my grievances with the album format, I do still find L2M to be a worthwhile exercise, because it makes me read up, then listen and discover. Even if there are only one or two tracks that I like on any album, and despite there being not enough hours in the day… The ‘shuffle’ button is a wonderful thing! So who knows when I’ll next hear a top track like ‘Ice Cold Daydream’. Adored everything about this album! Ive also gone on to listen to his other albums which I also find of brilliant, smooth, quality listening… Bingo another success from the LTM experience….Very nice indeed. Many thanks for this listening experience G.
The tracks i was familiar with on this album from radio play still sound good, but i didn’t relate too well to much of the rest of it. Not wishing to put the guy down but I found it a little over self indulgent. Can’t win em all hay! Nice comments so far. I was fortunate enough to enjoy this month’s LTM with Greg himself. This was great as it meant was experiencing both LTM and – by definition – the album in the way they were/are intended. I was familiar with Strawberry Letter 23 (which as Greg tells us was originally on an earlier album) and Sparkle City before hearing the whole album – the former is simply a masterpiece, and probably one of my favourite songs of all time. I confess the Brothers Johnson version of this won my vote some time ago with it’s ridiculously stanky groove, but, credit to the originator where it’s due, and in the context of this album it stands out as the stone cold killer it is. Two favourite things about Sparkle City – firstly the way in which it switches from pure funk to sunshine soul between the verse and chorus, and secondly the two minute intro – you think it’s another instrumental on an album heavy with instrumental numbers, then the vocal knock you for six. The opening title track contains an amazing tape-heavy snare sound which kicks you in the chest, in the way that only mid-70s snares can. The heavily syncopated drum pattern also made me grin. That was pretty much the point at which I knew I was going to enjoy the album very much. Actually, thinking on it, the production on the whole album blew me away. We were agreed that perhaps this re-issue of the album contained one or two over-indulgent, jazzy filler tracks (in particular the closing track, which brought to mind Derek Smalls’ Jazz Odyssey) where Shuggie’s instrumentalism won over his killer pop/funk instinct. However for the most part, I couldn’t believe the dynamism and quality of the mix and arrangements. It was a joy to hear an early drum machine on XL-30, playing what I presume was a preset waltz rhythm – ironic considering how hegemonic the technology became in the world of four-on-the-floor. Aht Uh Mi Hed was another one that blew me away, with shades of afrobeat and the classic chord structure which tugs at the old heartstrings. Great showcase for Shuggie’s guitar playing too, which is stunning throughout the whole album. In general terms, an intensely rich and rewarding musical experience, which I was lucky to have enjoyed in good company. The psychedelic edge to many of the tracks, and the slightly over-long format of the reissue, doesn’t detract (in most cases) from the down’n’dirty funkiness of them, and I’m mighty pleased to have been introduced to this great album. Thanks Greg. PS Forgot to say, much as like/respect Byrne and Talking Heads, they were slightly before my time and as such have passed me by a little bit – but listening to this I felt that I could really hear the common threads between their music and Otis’. Fascinating aLbum. The re-issued version with the added tracks certainly add to the enjoyment and relevance of the album with George Duke (One of my favourite keyboard players) and Aynsley Dunbar, drums (Born in Liverpool) on ‘Sweet Thang’ and ‘Freedom Flight’. The 4 added tracks are some of the best on the album. ‘Strawberry Letter’ for me has a really nice rhythmic phrasing in the vocal line and ‘Ice Cold Daydream’ has similarly nice phrasing in the funky lines played by Shuggie and the band. I thought ‘Freedom Flight’ was a bit long and possibly self indulgent (a point made by Tim above) but was reminiscent of ‘Albatross’ which I think preceded it in years. ‘Hppy House’ sounds unfinished to me and is very short with a ‘Beatle-esque section coming after around the 1 minute mark Another track which would have sounded a bit ‘way out’ and experimental for it’s time was XL-30 with the discordant organ over a very unsual bass line. This is absolutely brilliant and not your standard track for an album of this genre. Inspiration from this possibly came from discordant 20th century composers such as Webern etc but with pop/rock instruments? (That’s the only possible inspiration I can think of). By contrast the inspiration for ‘Rainy Day’ probably came from his jazz influenced father, and if not directly from his dad certainly from the jazz world. The use of brushes,the ‘jazz walse’ laid back feel of the track with some really cool solo guitar reminiscent of the sound of some jazz greats such as Barney Kessel and Jim Hall definitely give it a jazz edge. Similarly ‘Island Letter’ with the drum macine is reminiscent of the ‘Bossa Nova’ craze led by Carlos Jobim. The interesting chord changes and feel are reminiscent of .that style for me but with a distinct ‘Shuggie’ edge. I had to listen to this album a few times to appreciate it as I had never heard it before. I can understand why it didn’t meet widespread acclaim at the time of the release and it still sounds strange in parts even today. So apologies to Greg and the ‘LTM police (ha ha) for the late posting of this, but hopefully for good reasons…… I had to take my time with it.. Nice one Greg! I didn’t even mention the obvious funk influrnce and the fact that Shuggie played most of the album but others have mentioned it above so probably no need! I love this chunk of hippified funk. Enjoyed the L2M listen of it as I just zoned out and tuned in. I really enjoyed the first part of this album. Reminded me of Prince and Michael Jackson. He has such a beautiful voice. Found the more freeform second half a bit hard going tho. Not one of my favourites but great to hear just from the history perspective and to see the obvious influence he had. Once again thanks to the great sound system and fine company of G & T et al. To get any info on his tour dates, check out his website!